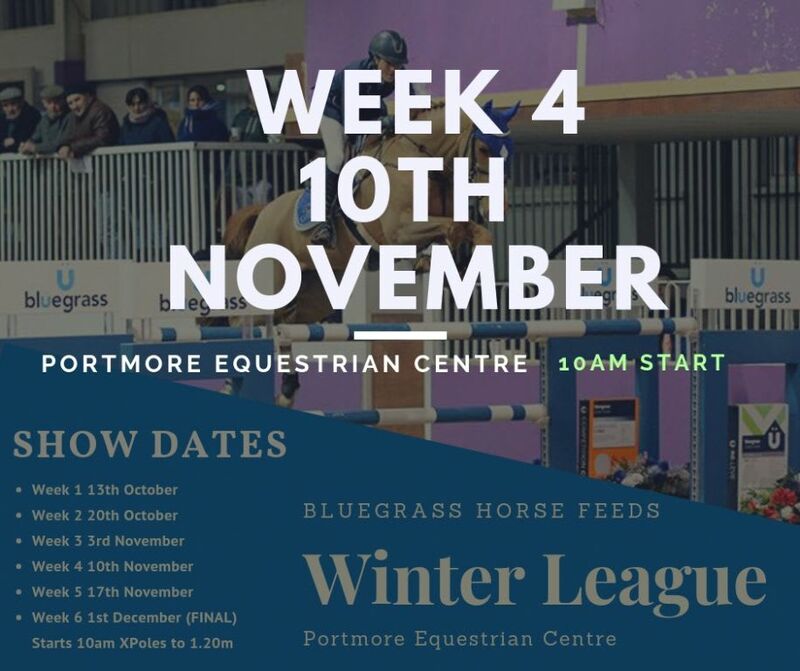 Last Saturday (10 November), held week four of the Bluegrass Horse Feeds winter league at Portmore Equestrian Centre, Aghalee. The six-week, unregistered showjumping league sponsored by Bluegrass Horse Feeds has been running throughout October and November with the final on Saturday 1 December. You must complete three out of five weeks to be eligible for the final. Entries have been growing over the past four weeks, with over seventy entries last weekend. The final is sure to be full of brilliant jumping, with some fantastic prizes up for grabs full of Bluegrass Horse Feeds merchandise and goodies.